The Guizhou Comprehensive Pilot Area Exhibition Center in Guiyang, the first national big data comprehensive experimental area, recently invited journalists from Taiwan to learn more about the development of big data in Guizhou province. 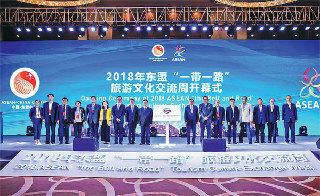 ASEAN's 2018 "the Belt and Road" Tourism Culture Exchange Week has provided opportunities for Guiyang to deepen cooperation with Southeast Asian states, said Chen Yan, mayor of Guiyang. 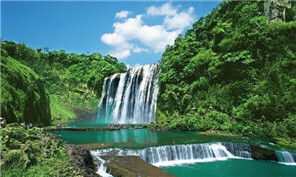 The city of Guiyang is endowed not only with beautiful scenery but also with hospitable people. 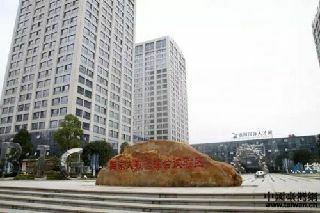 The buildings scattered around the city are physical examples of the green development mode, which is in line with the environmental-protection principles. Millions of visitors flocked to Southwest China's scenic Guiyang during this year's weeklong National Day holiday at the start of October, according to official. First ASEAN-China Center to be located outside of Beijing also unveiled in capital of Guizhou province. 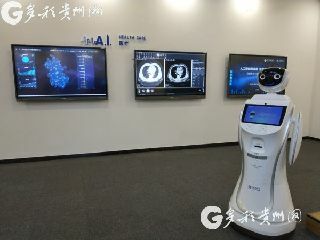 Due to the increasing integration of AI technology and medical care, the Health and Family Planning Commission of Guizhou province cooperated with iFLYTEK Co to build a joint lab for AI medical care in Guiyang, Guizhou on Sept 28. Southwest China's Guizhou province gained a staggering 33.21 billion yuan ($4.82 billion) during the National Day holiday (Oct 1-7) this year, a year-on-year increase of 35.67 percent, according to the Guizhou Tourism Development Committee. Finding the ideal spot to set up shop for companies is no easy task, as Kairuijia Electronic Technology Co Ltd discovered when trying to find a space recently.